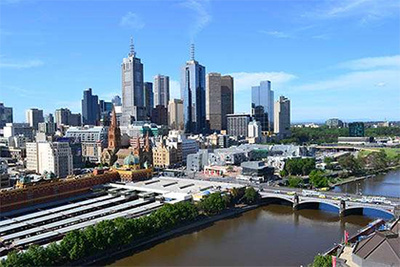 The Economist Intelligence Unit (EIU) has gone about its annual business of releasing its World’s Most Liveable City index, the sort of flotsam that matters less to urban planners than hedge-fund managers. The previous seven time winner had been Melbourne, whose supposed ascendancy had been threatened, at points, by Vancouver and Vienna. Now, the Austrian capital has assumed the mantle, and various notes of despair and qualifications are noted. Like any other index, a false plausibility can be gained from reading its findings. The indicators are all measures of corporate mobility and comfort, rather than urban sensibility and civic value. Companies must be assured that their employees will be able to live and work in suitably salubrious surrounds, with a degree of safety. Bottom lines and share prices are fundamental in these calculations. The EIU makes no bones about it, its historical mission sounding much like an advisory role to rampant mercantilism. “Created in 1946,” the unit notes in its 2018 liveability index report, “we have over 70 years’ experience in helping businesses, financial firms and governments to understand how the world is changing and how that creates opportunities to be seized and risks to be managed.” The EIU, goes a summarising paragraph of its goals, “helps business leaders prepare for opportunity, empowering them to act with confidence when making strategic decisions.” The unit aspires to analytical sharpness, “uncompromising integrity, relentless rigour and precise communication”. All this, in the name of suitably gathered “business intelligence”. Through the report, the same themes for the corporate manager and financial planner are emphasised. “Upwards movement in the top ranked cities is a reflection of improvements seen in stability and safety across most regions in the past year.” Much cheer could be had for the “return to normalcy” in Europe, given past concerns of a “perceived threat to terrorism in the region”. But Melbourne could still claim to have an edge over the crowned city in other areas, with the ABC making a weak effort to convince readers of the finer points of living down under. Winters, for instance, were milder than those in Vienna (this ignores the lack of central heating and poor design of Melbourne’s structures in coping with its milder winter). Melbourne boasted better street art (the premise is dubious), even if Vienna was a thriving “open air museum” aged in culture; and Melbourne’s variant of the classic Wiener schnitzel was “more evolved”, with additions of sauce, ham and parmesan. Melbourne was already a city floating on illusions and letting go of what charms it might have had. Its legendary tram network has excellent coverage centrally, but falters in the suburban areas, which are sprawling and continue to grow. Its metropolitan train system is creaky. Promised train lines to various outer suburbs remain the stuff of fantasy. Outside the sacred inner ring of public transport is darkness, where the automobile remains not only supreme but necessary. Access to the main airport remains marred by an absence of a train connection. Realities in the business of ranking cities vary accordingly. If one were to consult the findings of the engineering outfit Arcadis, Melbourne comes in at 21st in terms of being most expensive for building new infrastructure, while ranking at a lowly 55th for sustainable transport. But such analysis is bound to be dismissed by Victoria’s political chatterboxes as inconsequential in the battle of meaningless titles. The corporate classes come first.